The Antica Residenza d’Azeglio was designed to let you savour a unique experience: staying in an extremely refined setting, where you can enjoy both the elegance of a luxury hotel and the intimacy of an exclusive dwelling. We have always been committed to customer satisfaction and we manage this residence with passion and dedication. It is located on the second floor of an old 20th century building, near the main square, piazza Maggiore, and the historic buildings in the centre of Bologna. The best value for money in Bologna! A treasure 5 minutes walk to the centre. Very close to the old city centre. Agostino was pleasant, kind and informative. He assisted with parking our car and making us feel at home. The room was spacious and private, and there were little extras such as fruit and sweets in the room. A lovely typical breakfast was provided at the dining table on his beautiful crockery. The B&B is decorated with paintings and objet d'art Agostino has collected during his life. Still the best B&B anywhere. My wife and I recently stayed at Antica Residenza d'Azeglio for the third time. Having spent a total of 15+ nights at this charming B&B, we are convinced that it offers the best overall travel experience of any place that we have stayed in our thirty years of traveling. Have you ever visited a grand, historic home and wondered what it would have been like to live the lifestyle of the upper crust of society from a bygone era? Staying at Antica Residenza d'Azeglio gives you the opportunity to do just that. Each room is unique and exquisitely appointed with Venetian glass chandeliers, fine furniture and terrazzo floors. And, your host, Agostino, will treat you like royalty. Despite the elegance, the atmosphere is casual and you will be made to feel as if this were your home. This is truly a one of a kind experience that should not be missed. Fabulous Host and Room in Good Location. Agostino made our stay, he couldn't do enough for us, recommmending and booking great restaurants, helping us organise our days and sharing many a glass of wine / plate of cheese with us in the evening. We stayed in the Rosso Room which was extremely spacious and tastefully decorated. We would most definitely stay again and cannot recommend highly enough. I can only echo the previous reviews. This establishment is everything a traveller needs. The rooms are extremely clean, comfortable and quiet and contain little extra's that make you feel special. What sets this place apart is the extraordinary kindness and hospitality of Agostino. He is a delightful, informative and entertaining host who could not do enough to make our stay so special. His restaurant recommendations were all fabulous and he readily imparts his knowledge of the city he clearly loves. We will not forget Bologna, Agostino nor this wonderful B&B. Agostino, the owner, was incredibly friendly and helpful. We were originally only going to stay one night but decided to book again with him at the end of our stay in Italy. 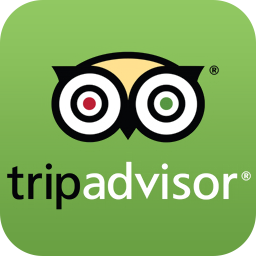 He gave us advice for a wonderful, authentic Italian restaurant, advised us what time to be there since we didn't have a reservation, and gave us advice on the town center which is a quick 5 minute walk, including recommending a free Christmas concert there. He asked us what time we wanted breakfast served and was very prompt with a table full of goodies and personalized coffee from his own kitchen. The facilities are very clean and comfortable. Agostino is a very gracious host and obviously loves what he does. If you want to experience something outside of a typical hotel where you can get a better cultural appreciation of Italy, I would highly recommend staying here! 5 Stars for the Soul. As my review from a few years back states, I am in love with Antica Residenza d'Azeglio. For me, it embodies the best of Italy: warmth, hospitality, charm and thoughtfulness. I love 5 star hotels. I love to be pampered. Who doesn't? 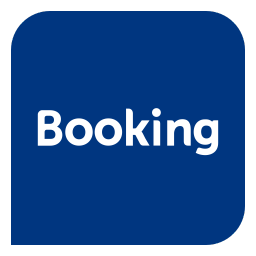 Agostino provides a 5 star experience at an affordable price. His laid back style and enthusiasm for people is contagious. He provides a generous breakfast and there is fruit, wine, candy and water available at all times. Most of the other guests are repeat visitors (like myself) because they understand the comfort of a 'homey' environment while traveling. If you are looking for pretension you won't find it here. There may not be marble bathrooms or a 24 reception desk, but there is love and warmth in abundance: 5 stars for the soul. Share your experience on our page. Share your pictures on our page.